Our first day in Hong Kong is quite exciting, because we had to start exploring as soon as we got out of the airport. Our flight was at 5:10am and had to be at the airport as early as 3:00am. Although, we don't much sleep I'm still excited to explore Hong Kong, well, I'm always excited every time I travel😂. We arrange our trips, from airfare, hotel accommodation and itinerary. My friend and travel buddy arrange the airfare, and I booked for our accommodation. I also prepared our itinerary and my friend helped in searching online. Our pair is really a perfect tandem. I traveled out of the country twice already and I'm very thankful that our flights have never been delayed. We left Manila at exactly 5:00am and landed in Hong Kong at 7:11am. Immigration process was also fast since there's not much people around, maybe because it's still early. My friend, who traveled to Hong Kong a lot, said there's always a long line at the Immigration. No wonder, since it's the favorite destination of people who love to shop and eat authentic Chinese food. If you need help on getting out of the Airport, please visit: How to Get Out of Hong Kong International Airport? From the airport, we just took a taxi to get to Citygate Outlet Mall for the Self-Service Lockers for our luggage. A very convenient service for tourists who like to explore as soon as they arrive. There are other luggage storage available around Hong Kong but we had to choose this since our first destination is Ngong Ping Village, and the Cable Car Terminal going there is just a walking distance from the mall. The Cable Car terminal opens at 9:00am so we had to wait in line until it opens, which is good because the line is still short. My friend told me it really gets long staring just before lunch. Single Journey fare is HK$115.00 (Php690.00) for Standard Cabin and HK$180.00(Php1, 080.00) for Crystal Cabin. For a more affordable ticket, try to buy from Klook or KKDay. Travel time is approximately 30 minutes. On how to get to Ngong Ping, please visit: How to Get to Ngong Ping 360? If you are superstitious and a believer, don't leave Ngong Ping 360 without making a wish at the Bodhi Wishing Shrine. You won't miss it as it's situated just under the Bodhi Tree on the way to the Big Buddha and the Po Lin Monastery. There is a legend saying that wishes made at the “Bodhi Wishing Shrine” under the Bodhi Tree will come true, so try your luck. 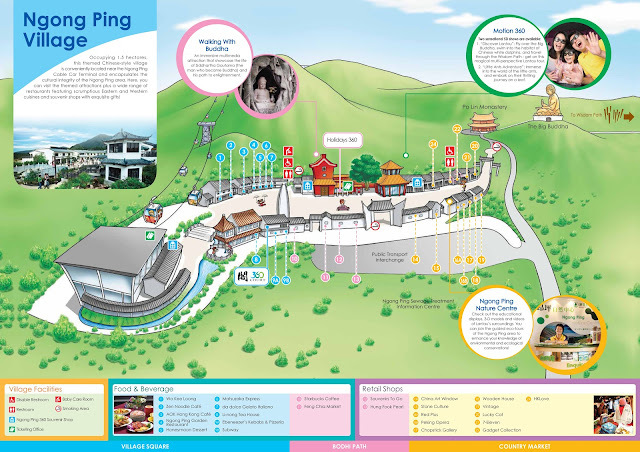 Ngong Ping 360 has a lot of attractions you can explore and you need at least a whole day in order to visit them all. Our itinerary only gives us just half day to explore so we had to manage our time carefully. We only explore the shops for about 30 minutes and then headed to the where the Big Buddha is sitting. On the way there, you will walk through the Ngong Ping Piazza. The piazza is a long stretch of walkway where the Po Lin Monastery sits at the other end. You might think that it's just a walkway with a perfect view of the Big Buddha and the clear skies, but you are wrong. Along the way, located on both sides of the piazza, the statue of the 12 Divine Generals or 12 Heavenly Generals are lined up. Walking from the piazza to where the Big Buddha is located probably takes 5 minutes, but since we took our time reading what's written on the 12 Statues it took us almost 10 minutes. Tian Tan Buddha or commonly known as just the Big Buddha was built at the top of Mount Mu Yuen and visitors need to climb the 268 steps in order to see the perfect view of the Buddha and the Lantau Island. I've been to other shrines higher than this one so the climb for me is nothing. Although, for some people, it will be very tiring specially when it's hot. It took us 9 minutes to climb the steps with a couple of stops to take pictures. Under the platforms where the Buddhas is resting are the three halls: the halls of the Universe, of Benevolent Merit and of Remembrance. I' not sure if only the hall of the Remembrance is open to the public, but that's where we entered and saw a lot of relics of the Buddha. Taking pictures inside is not allowed, but if you want to buy souvenirs, there are shops inside. All of the Buddha's features have significant, please find out by visiting: Tian Tan Buddha (The Big Buddha). After a short visit to the museum and the shops and taking my final photos of the Buddha, we headed down to make our way to Po Lin Monastery. If you don't have much time when you visit Ngong Ping 360, use it to explore this Monastery as it has a lot of to feature. A visit at the themed village is not complete without visiting the Monastery. It's a must see next its extension, the Big Buddha. Don't forget to check out the Mountain Gate or Pai Lau just before you enter the monastery's vicinity. It's adorned with three pagoda statues on top and lion's head statues. It leads to a wide path lined with Bauhinia (flowering plants), the national emblem of Hong Kong. When we thought we had enough, we headed back to the Cable Car terminal to get back to the city and have lunch. If there's a line when we came, it's the opposite on the way back. We're only 4 people inside the car. There are only 2 ladies aside from us and they very friendly. We found out that they were from Brazil and that when we told them that we're from the Philippines, they told us that they would want to visit someday. Of course, we did some marketing of our country and told them where to go for first timers, and that's Boracay Island! When we arrived at the Tung Chung Cable Car Terminal, true enough, the line for the cable car is really long. I'm glad that we went there very early! The line starts from the ticketing window up to the bus terminal. And to think that it's only before lunch. From the Cable Car it only takes 5 minutes walk to the Citygate Outlets. After we picked up our luggage at the Self-Service Storage lockers, we headed to the Food Court of the mall to have lunch. It's peak time so we just ate where there's not much people and that's the Steak House. Nothing spectacular about the food, it's actually kind of bland but since we're hungry and we paid for it we have no choice but finish it. I wished we're adventurous enough to try other local food there, but we're afraid so ended up getting what we think is safe. We did not stay long because we still have to go to Ocean Park which is far from where we're currently located. Traveling from Citygate Outlets to Ocean Park really was very exciting. At Tung Chung Station we took the train to Hong Kong Station. From there we hailed a taxi to bring us to L' Hotel South where we will be staying for the night. We're already running late as is and we're also having a hard time getting a taxi to bring us there. When we found a taxi driver that can speak a little English, he still don't know the hotel's name or location. Good thing my ever efficient friend, she printed the name and address in Chinese and just showed it to him. He's polite and talk to us in his broken English, I just wished he drive faster as I'm excited to get to Ocean Park. When I thought everything is okay, he suddenly bumped into a private car. In the end, we stopped until they figure out what to do. Our driver just agreed to pay the damages so they can move and don't cause traffic. He also told us the if the other driver report it, a merit will be deducted from him and he'll have a hard time renewing his license or something. Oh the traffic going to Ocean Park is really terrible! 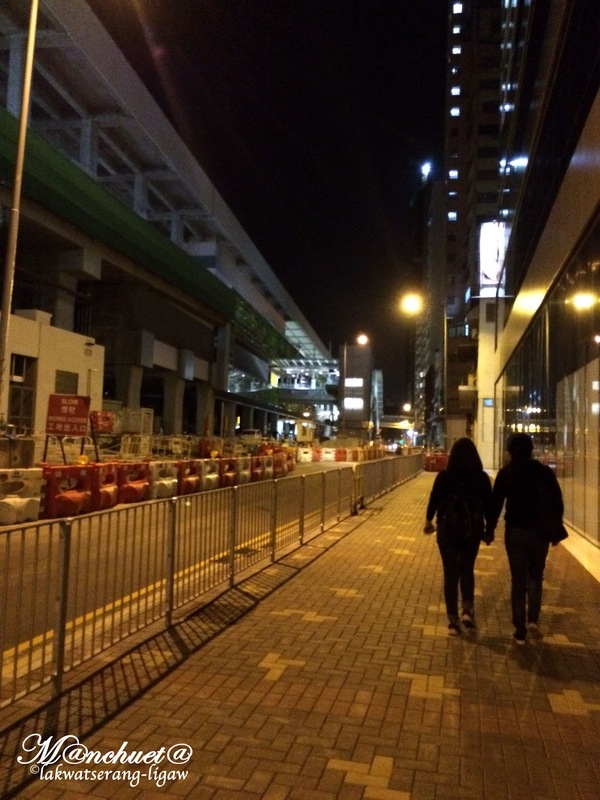 When we visited Ocean Park, the MTR line is still under construction. We planned on staying until the closing time of Ocean Park so we decided on just bookinga hotel for the night instead of traveling back to Hong Kong with our luggage. From all the hotels that I searched, L' Hotel is the perfect one because it's just a walking distance from Ocean Park, not to mention they have a sale on that date. After we checked in and re-freshen a little, we took a tax i to Ocean Park for the much awaited adventure! I didn't expect that the Park is really huge and that we need to have at least a day to explore it. Well, we just have to do with the time we have until they close for the day. We also bought our ticket from Klook and they accepted it as is, so we didn't have to fall in line just to buy the ticket. I'm really fascinated by Pandas and the first thing I want to see there is the Panda House, only to be disappointed because the Panda is hiding behind the grass eating. Oh well, at least I saw its black and white head. I find the cable car here scarier than the one in Ngong Ping 360, maybe because the cable car is smaller. We are the only people inside the cable car so we just scream to our heart's content. Since they said the the hotel is just a walking distance from Ocean Park we decided on walking. At first, we're confused and don't know where we're going. We just kept on walking and looking for the sign of the hotel. We passed by the soccer field and a lot of intersections and stop light but we sill can't see it. We're not worried though because we know were gonna get there. We kept on walking until we saw these two girls in front of us and when we asked for directions, they said they are heading to L' Hotel too, so just follow them. I felt relief because I thought they know the way to get there, but they just kept on walking. We followed them while at the same time looking around for the hotel's sign. And when we finally saw it, the two ladies just kept on walking. They walked fast so we we're not able to call them. It took us 30 minutes to get to the hotel. However, if we just follow the path we wanted to take before we've met the girls, it only will probably just take 15 to 20 minutes. Hi Ferry, thanks for checking my blog. I'm still working on the rest of the itinerary. I'm like several travels behind...lol Please follow my blog to be notified on the rest of the entries. 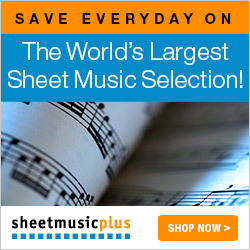 Effective post having an outstanding collection! !